Planted tank substrates are key to the success for any planted aquarium or aquascape. Aquatic plants are just like garden plants. They have a complex root system that aids in their uptake of necessary nutrients. These include Iron, Magnesium, Potassium, Nitrogen and many others. These nutrients play a key role in the coloration, health and growth rate of the plants in the aquarium. Nutrient rich substrates can even combat algae growth by allowing your plants to overtake the growth rate of pest plants, uptaking excess nitrates and starving algae spores. Below we will talk through some popular and successfully proven substrates, why they work and how they price. These substrates are all market leaders in 2017 and can generally be found at your LFS or purchased through Amazon. There are many competitors in the substrate market and each company has a unique offering. Lets take a look at some popular brands. Seachem Fluorite is a very popular planted tank substrate. 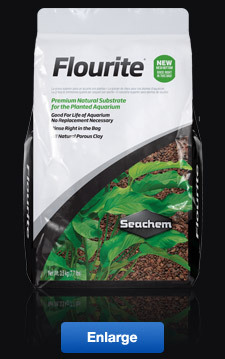 Seachem briefs this substrate with “Flourite® is a specially fracted, stable porous clay gravel for the natural planted aquarium.”. Fluorite is unusual as unlike most substrates it is made from porous clay. The advantages of a clay based substrate include much higher iron levels than other substrates in this article. Red plants will especially benefit as they utilise iron for their bright red coloration. The downside is that the clay composition can become messy. Fine particles can cloud the tank initially and upon subsequent water changes. It is a strong recommendation to lightly rinse the substrate before use to eliminate these clay micro particles and keep them out of your aquarium. 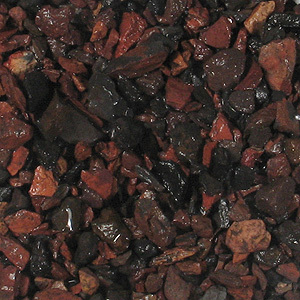 Seachem also states that “Flourite® is most effective when used alone as an integral substrate bed, but it may be mixed with other gravels.” this is an important factor. Unlike other substrates, Seachem states that it is fine to mix fluorite with other gravel substrates. This can save you money while also being able to deliver the necessary nutrients to the plants. It’s Fairly well priced planted tank substrate! ADA products are renowned for being high quality and offering a product that works without headache. These products are tested, refined and even used in display tanks created by Amano himself. ADA Aquasoil is no exception with planted tank substrates. There are a few reasons Aquasoil has become so popular. The first is its dark coloration. 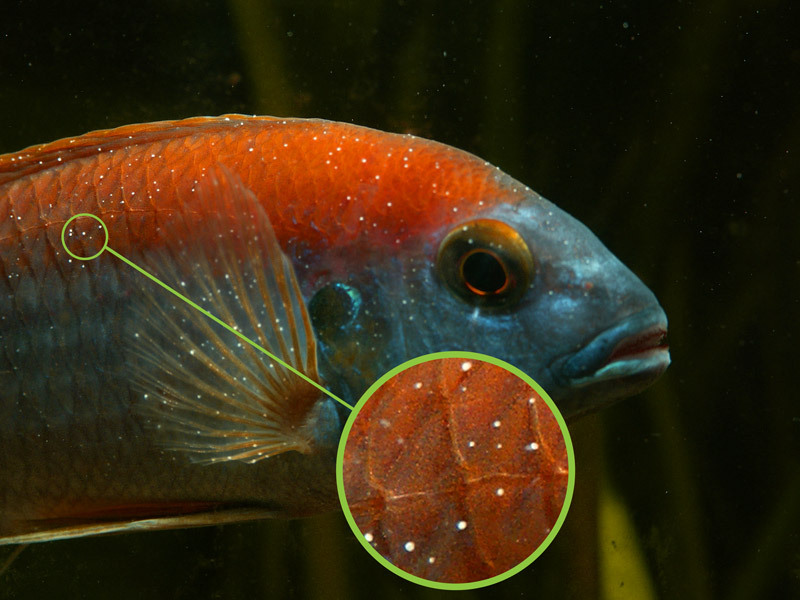 Darker substrates help enhance the coloration of aquarium fish. Brighter substrates can wash out bright and reflective colors and are hence less popular. ADA Aquasoil also buffers the pH to stay around 6.8. Discus, Tetra’s, Rainbows and small colorful fish are primarily from the Amazon and therefore thrive in this pH range. ADA Aquasoil is used in hundreds of tanks, and in each of these aquariums the plants GROW. 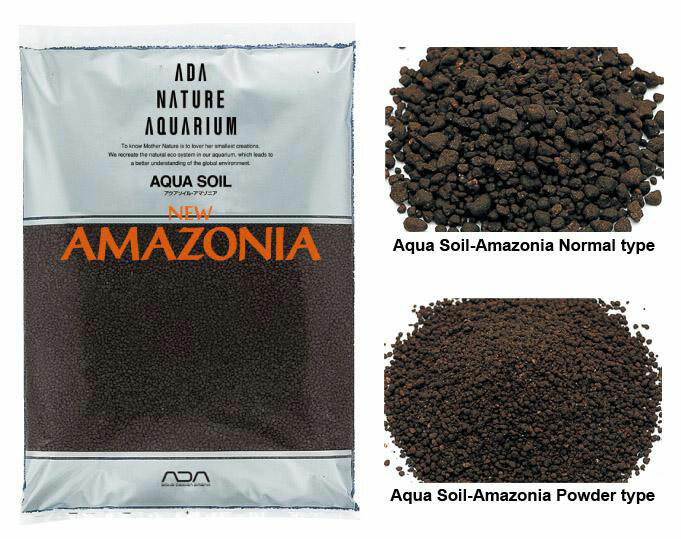 ADA Aquasoil varieties are no doubt more expensive than most, if not all brands of substrate. But for minimal risk and knowing ‘exactly’ what you are going to get, it is definitely worth the premium for this planted tank substrate. Eco complete is a popular and copy-cat style planted tank substrate. It has arrived later to the game, promises much and comes at a cheaper price. Eco complete aims at giving the end user the maximum value for their money. The ‘live’ version (Eco Complete Live) is actually very useful and offers something that few other substrates do. 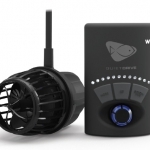 It comes with ‘live’ bacteria that accelerates the cycling process and helps negate the need for using live fish. The substrate, when compared side by side with ADA Aquasoil has a very similar chemical breakdown. In fact the two are almost the same. Eco Complete is widely accepted and on Amazon has been rated 4.5/5 by over 600 reviews. I would recommend Eco Complete if you are more budget conscious but still want a substrate with the same mix of more premium substrates. Its its proven to work and it is great value for your hard earned dollar. It’s very well priced in the market! Fluval sells its new plant and shrimp substrate describing that it is the perfect substrate for shrimp and plants. 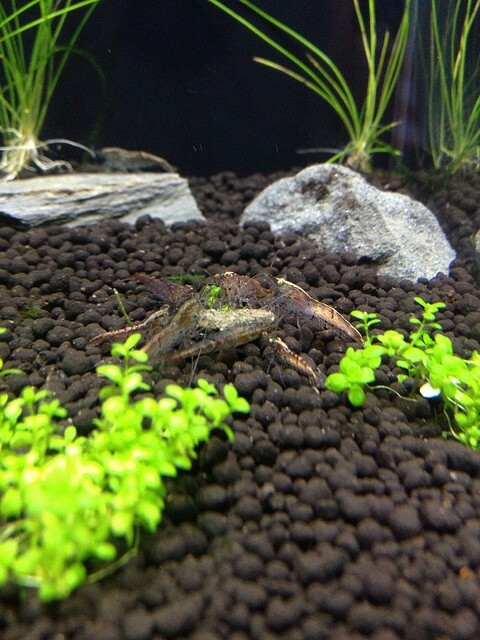 Fluval claims that this substrate has been engineered specifically for shrimp. The logic is that the size of the particles allows the fry to hide IN the substrate until they are large enough to come out and fend for themselves. There is almost no scientific backing behind Fluvals claims. 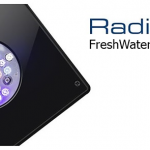 Personally this seems like a marketing ploy than a revolutionary product, however the substrate has been used in numerous invert aquariums with great success. 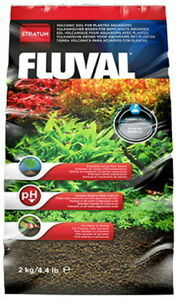 What we do know is that Fluvals plant and shrimp substrate lowers pH, doesn’t cloud the water and is excellent for plants. It may or may not be engineered specifically for shrimp, but we do know it will grow your plants. Its light, porous and full of nutrients. If you can pick this up for a lower price than other substrates then it may well be worth your time. 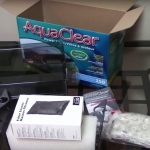 Fluval has a good reputation and is definitely known to produce high quality products. ‘Shrimp Specific’ engineered substrate seems to be more of a marketing play than an actual advantage. 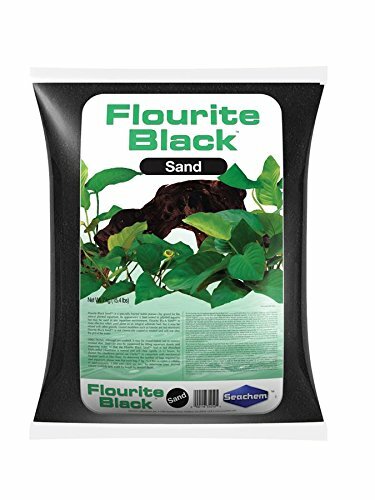 Seachem Fluorite Black Sand is another substrate developed specifically for the planted aquarium. Similar to standard fluorite it is made of a porous clay substance but with two clear differences. The substrate is a charcoal black and the particle size is much smaller. The black substrate will saturate the colors of the fish and plants in the aquarium. But the fine nature of the particles will result in debris building on top of the substrate and will be noticeably visible. This substrate will likely require more maintenance than other substrates and is something to keep in mind before purchasing. It is highly recommended to wash this substrate before use. Seachem supports this and states it can take another 2-12 hours for the aquarium to clear completely. The substrate also has a highly likelihood of clouding the aquarium upon maintenance due to the small particle size. But the small size makes Seachem Fluorite Black Sand a great addition for inverts and digging fish. 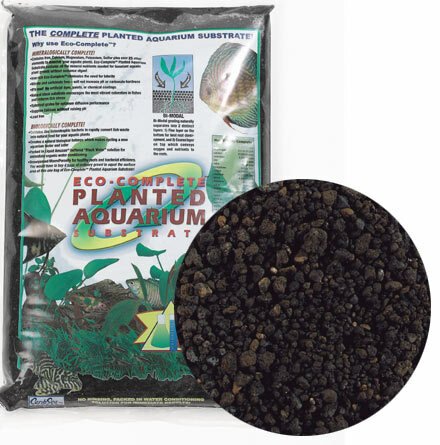 The mineral composition of this substrate is complete and is ready to grow freshwater plants out of the bag. However, the black Fluorite contains just 20% of the iron levels of red Fluorite. It also has lower levels of potassium and magnesium which are arguably very important for plant growth. Sodium and calcium concentrations are much higher in the black sand which may also increase the hardness of the water. Seachem states the sand will not change the pH of the water but fails to mention whether the calcium will have effect on the waters gH. I have used JBL contrasoil and JBL products for my planted Aquarium. I have noted that when I use ADA step 2 and step 3 (Green Brighty Liquid fertiliser) the plants in my aquarium pearl at a much higher rate when compared to other liquid fertiliser products. I can think only of one reason and that is the ADA liquid fertiliser is of high quality. Though I have not used any other ADA products for the Substrate I surely intend to use them when I strip this tank of mine which is about 1 year old. Thinking ADA may be the right choice. Thank you for such a well written review of these products. I’ve been looking for something all night from a more objective view of each of these products. This was an informative article, and whoever authored it had me laughing as well, great sense of humor! Thank you for sharing your knowledge. Do you have any information as to using eco complete and organic soil together? The soil would be under the eco complete. Thanks for sharing your views on this. 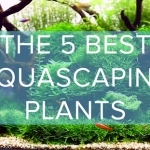 I am planning to build my planted aquarium and this information is very useful for me. There is another: TMC nutrasoil. Is fabulous for growing plants but can be messy with propagation. The cloud can get soaked up in your plant leaves and leave a mess. It does, in my opinion, contribute to algae with the excess nutrients leeching into the water column so heavily planting is an absolute MUST. Great for aquascapes but not great for people who like to change their layouts regularly. I plan on a 90 gallon tank. First tank in over 40 years. Back when, I used medium jet black gravel (not painted). Most plants did fine. There was no substrate soil back then. I tried small peat pots buried in the gravel for some plants like Amazon swords. Could I use an inch or so of that type of gravel throughout and allow it to be thicker in spots and use ADA over the gravel except for the upwellings?